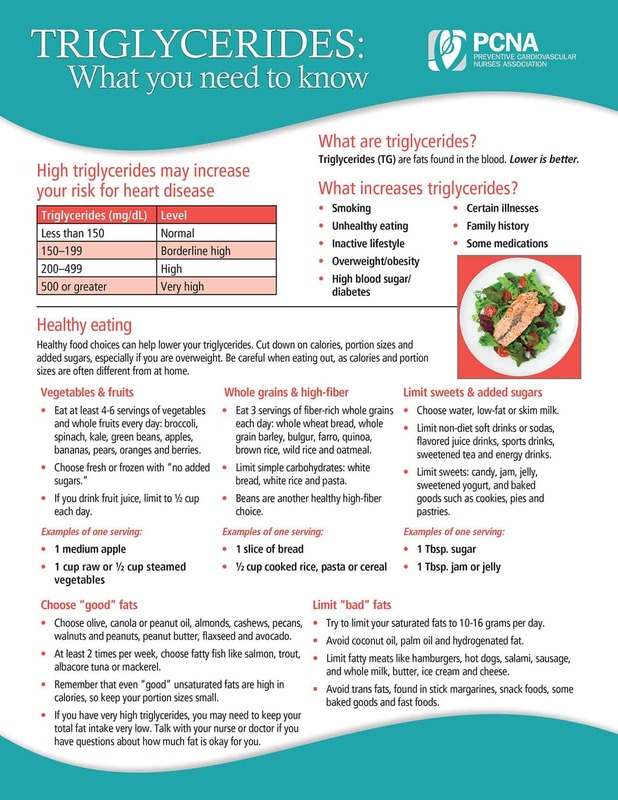 The Preventive Cardiovascular Nurses Association has developed this series of triglyceride handouts for nurses and other health care providers to use with patients. Join as a member today to take advantage of member pricing. Funded through educational grants from Akcea and Amarin.